A number of business leaders are moving ahead with science-based emissions reduction targets. 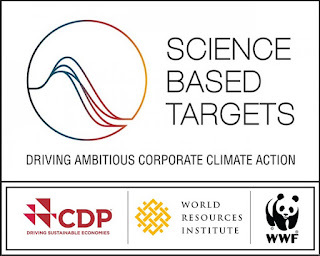 The Science Based Targets initiative is a joint effort of CDP (formerly Carbon Disclosure Project), World Resources Institute, World Wildlife Fund and UN Global Compact. 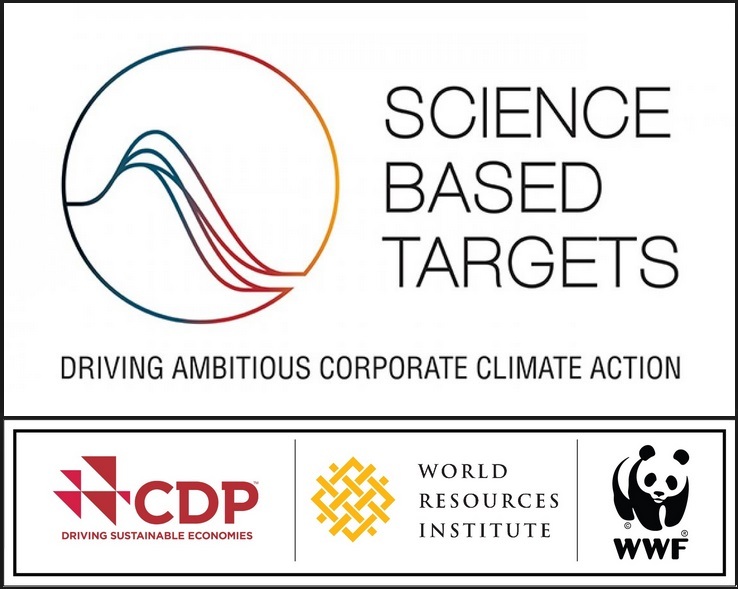 These organizations work with companies to set science-based emissions targets and they only approve corporate targets that meet its strict criteria. These emission reduction efforts are part of a wider trend. Corporations are embracing sustainability in unprecedented numbers. They are also adopting renewable energy and there are a number of good reasons for doing so. So far 81 companies have committed to go 100 percent renewable. A new RE100 initiative called the Corporate Sourcing of Renewables campaign seeks to entice 1000 businesses to go 100 percent renewable. To date more than 155 companies have committed themselves to science-based emission reduction targets. Many of these companies have pledged emission reductions far exceeding the minimum required. Initial corporate science-based emissions reductions were announced at the LPAA Business focus event hosted by Caring for Climate at COP21 in Paris. Just after the conclusion of the Paris climate agreement at COP21, business leaders and others began working towards securing more science-based targets at a multi-stakeholder summit called Climate Action 2016 in Washington D.C. As explained in a press release, these commitments form "the foundation of a credible corporate climate action strategy as the world transitions to the low-carbon economy." "In the past, companies would set targets without the necessary information or a solid point of reference. They would just pick a round figure and aim for cuts of 20, 30, 40 percent, with no further justification, other than generic aspirations. Now, we have a target that is approved by external, credible experts, verified through relevant scientific methodology. That makes a big difference, both for external stakeholders, as well as to our management." Many of these companies are also demanding changes throughout their supply chain. In addition to 20 percent emissions reductions by 2020 and up to 80 percent emissions reduction between 2000 and 2050 Pharmaceutical giant Pfizer will require all of its key suppliers to manage their environmental impacts, including GHG emissions. Most of the business community knows that science-based emission regulations are inevitable and many are wisely trying to get ahead of the curve. As reviewed by Lyons Hardcastle in an Environmental Leader article some business leaders are welcoming government climate policy including emissions regulations. Hundreds of companies including Google, Amazon, Microsoft, Ikea and Mars have all said that the EPA's Clean Power Plan emissions rules are good for business. Together, companies that support the Clean Power Plan represent a half a trillion dollars in revenue. This support is in stark contrast to those who say that regulations lead to economic ruin. Science based emission targets are a fact of life and companies must get with the program. As MIT professor Noelle Selin said in an interview with Environmental Leader, "this is really an example of how climate change is a mainstream thing businesses need to pay attention to." In fact, Selin argues that managing climate change is a key success factor for business. Climate change entails serious risks that diametrically opposed to continuing with business as usual. These climate risks include everything from supply chain interruptions to volatile energy prices. As explained in the EL article, "reducing emissions will lower compliance costs for companies and put them less at risk of facing regulatory action." New tools have been developed that help the business community to visualize emissions reduction. One leading example is the WRI's CAIT Climate Data Explorer Business platform that uses data provided by CDP.